Book #29, The Trouble With Vampires, is about our favorite tormented Notte, Santo. He’s got his hands full with Pet. She might be slight in stature, but her personality more than makes up for it. Santo may have finally met the one person who can wrestle away his nightmares. It will be coming out on April 23rd, 2019! The Wrong Highlander, book #7 in my Highlander Brides series, is now out! Conran's story, appropriately named The Wrong Highlander, starts with a bang when our hero is accosted and kidnapped by a redheaded spitfire named Lady Evina Maclean. And that’s only the start of the chaos that ensues. All we can say is whoever’s crazy enough to start a fight with the Buchanan boys is in for a world of hurt. 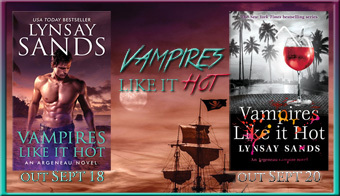 Book #28, Vampires Like It Hotis the latest chapter in the Argeneau series. Raffaele, Zanipolo and Santo are on an enforced vacation during the wet season in the Dominican. While Raffaele is happy to help out his cousin Santo, he'd rather do it where it wasn't so hot and humid you could hardly breathe. 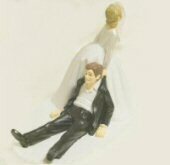 At least that's how he felt until he met his life mate, Jess. Jess was in the Dominican to attend a family wedding. After she follows her cousin onto a tour ship, she finds herself on a pirate ship full of hungry vampire pirates and her only option to escape is to jump ship. 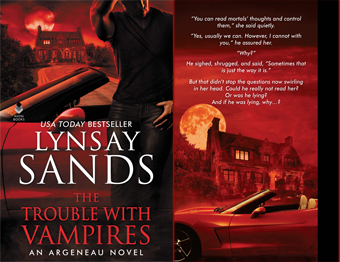 From vampires, to shark-infested water, and then the arms of Raffaele Notte... What started out as a boring family obligation has suddenly become something much more. And one of my classic historicals, The Reluctant Reformer, will reissued June 25th, 2019 with a new cover and the new name A Lady In Disguise! After that I have a set of edits to do, and then I'll be working on the next story. At least with the weather being so cold and blizzard-like, it's the ideal time to hunker down and write!